all4design-design4all: Evolutive Digital Technologies: A NEW Terminology (Examples 4 Design & Everything else), powered by Web Summit 2017, Lisbon, Portugal. Evolutive Digital Technologies: A NEW Terminology (Examples 4 Design & Everything else), powered by Web Summit 2017, Lisbon, Portugal. 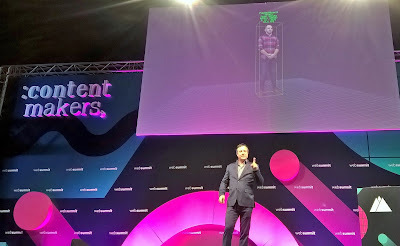 In photo above: Steve Raymond, CEO at 8i during his revolutionary presentation on Hologram Making in the immersive era. Technology fusion consisted of Augmented Reality (AI), Virtual Reality (VR), Mixed Reality (MR), Computer Generated People (CGP) etc.- all made anew for you to carry with, among other content, on your mobile data. In tomorrow's world what is Content? What is Creativity? What is Impact? What is a Car? What is Community? What is Commodity? What is Ecology? Take it from the people at Web Summit 2017, who prescribed the new inventions on digital solutions, materials, infrastructures, ethics- from now on and in the far or near future. 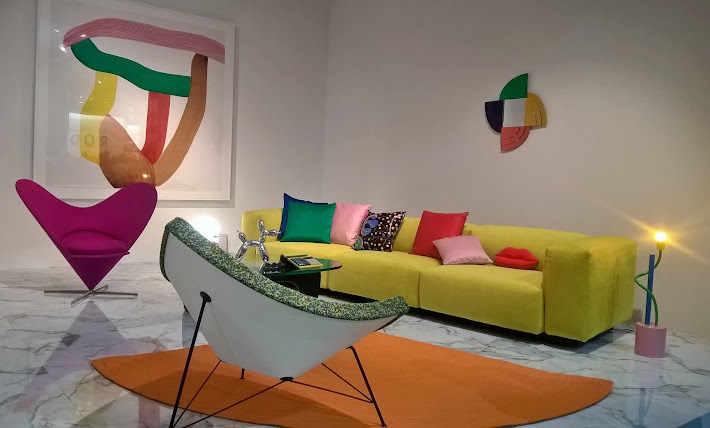 Nowadays you can 3Dprint a house for 35 euro, a reality that will enable huge changes on demographics, social cartographies, work, architecture and design in many places of the world. Soon it will be possible to carry live memories with you and place them anywhere you wish in space and time: your beloved ones, your commodities, your list of materials, your course lectures, the actual furniture of your studio, your wardrobe. Companies like 8i specialize on creating entrirely realistic holograms, made out of volumetric videos: small, streamable and uploadable on your iPhone 10' Volumetric Content Library, a facility soon to be an asset in the post-digital industrial revolution, (in areas such as retail, health, beauty, education), but also an unprecendented emotional experience for all. 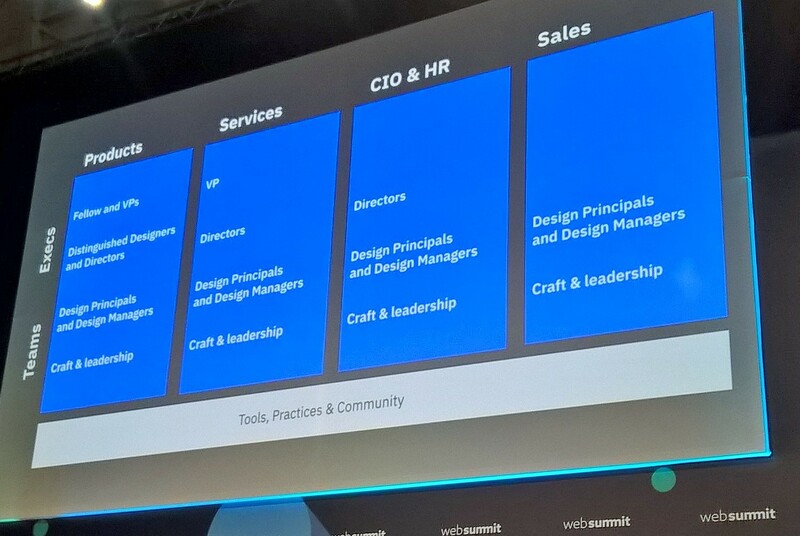 As General Manager of IBM Design, Phil Gilbert (in picture bellow during his speech on Creatiff stage at Web Summit 2017) sets the strategy of making an organization grow through design thinking and a specific mindset, oriented also to Agile infrastructures and DevOpps in the making-of and developing of a project or an idea. In times where most working places kill creativity by a rigid, exercised management of Power with no empathy, the ability to listen to different voices and align avery aspect of the business, remains the biggest challenge. Design thinking is the key to success not as an abstract concept but as a bold attempt to innovate and provoke sceptics in an non-obvious way. Plastic pollution eats us up and that's a fact, affecting our whole civilization. How we need to redesign our whole system in order to save our planet, our oceans but mainly our health? Professionals like Tim Brooks, LEGO Vice President of Environmental Responsibility (first from the left in picture bellow with fellow speakers at Planet: tech conference), discussed how companies like LEGO with a huge impact on children's creativity and development worldwide for decades, recognize the need to replace plastic with biodegradable materials, by launching a program to do so in the future, starting with the famous LEGO brick. Plastic retrieval has to be imposed, so it can turn from waste to resource for our whole relationship with the material to be re-evaluated, through clever innovative design and a whole different social attitude. Be an urban backpacker, show up with your own ceramic mug and metal straw at your local coffee place and make people talk! What is going to be the design of non-driven cars? Equity in transportation is a goal, among other things such as private or public autonomous transport. Time inside the cars can be re-usable and quality time, with AI and Cloud sprouts inside every future vehicle for safety, learning and caring purposes (i.e. for people with special features). Electrification is a very important aspect in the future of autonomous vehicles with their energy capacity to rise as the capital issue of the whole endeavour, alongside with safety and of course their production schedule for the market, expecting finished prototypes between 2020 and 2050. Check bellow the companies and their representatives as they talked about the subject at Web Summit Auto/Tech-TalkRobot conference (in picture bellow, on the right): Philipp von Hagen (Porsche Automobile Holding SE), Jim Adler (Toyota AI Ventures), Shakeel Avadhany (ClearMotion). 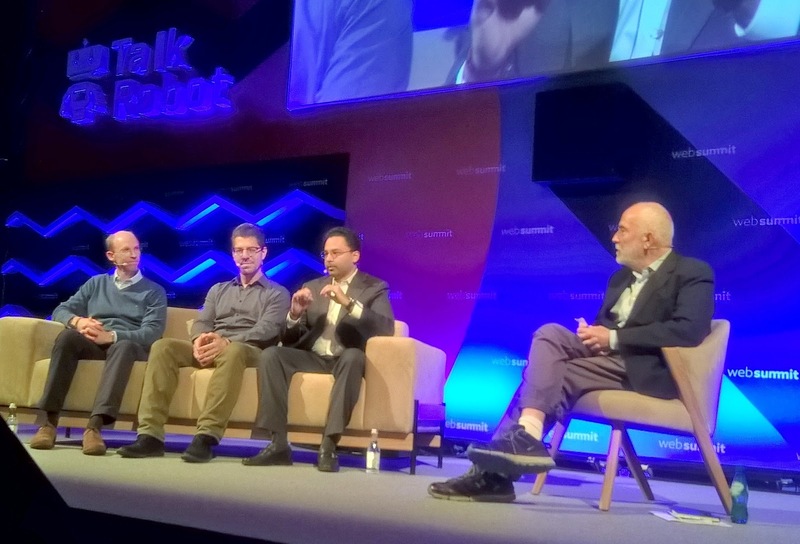 Key Terms: Digital Native, Immersive Computing, CGP (Computer Generated People) vs CGI (Computer Generated Imaging), global nomads, Techfugees, MAS (mobility at surface), NI (natural intelligence), SAFER, market transformative, AI-liaised, millenials privacy crisis. 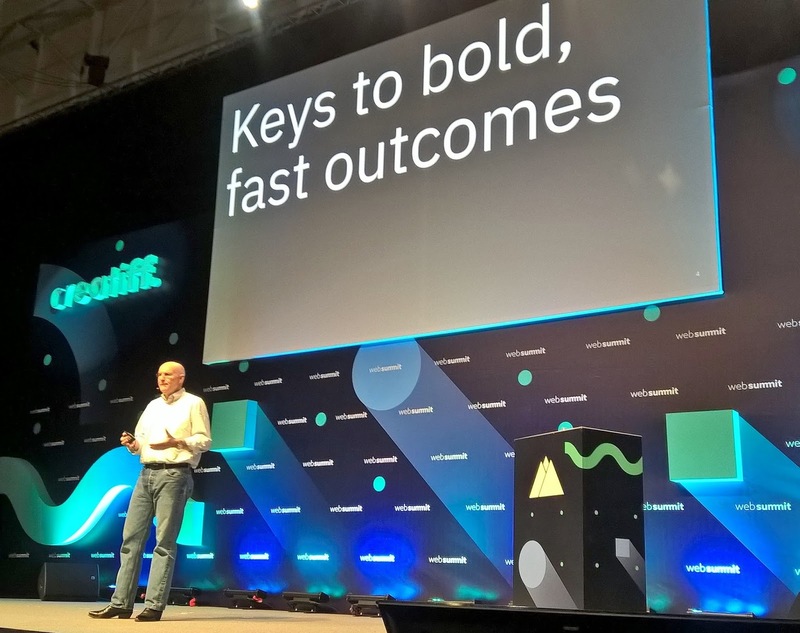 THANKS A MILLION to the Web Summit Team and the City of Lisbon for another amazing experience throughout the whole week of the event and the warmest hospitality ever...We are counting to November 2018 for more innovative and life-changing technologies, in the most important conference on the planet regarding the digital field!